Thank you to both events! Okay, yay! Also, how is your skills going? I haven't seen any new posts on your site for a while. I think it is the new update. I bet they will work on it more to fix them up. Scanner back to normal, wooo! It does look like it, but everything looks awesome though! Would it be possible to do like a photo of them? I know I ask too much, but it is to keep you drawing more. Plus you make them alive for me. It's awesome! yo! are you a bumbleby fan?? I promise im not a crazy one, i was just wondering. Ah Demyx, my sister has him in one of her top favorites, I even gave her a T-shirt that has him and the other members of organization 13 in blood red coloring. Good thing he survived the slaughter of KH 3, otherwise we won't have him for future games. Eh, you'll find someone in the next game soon little lady, i'm sure of it. Hoi, what character are you going to obsess over now that Xemnas has been defeated? Just put it behind spoiler tags please. Cool. And btw, happy New Year to you! Are you getting excited about the thought of getting KH3 and playing it? I am! I can't wait to see what happens with the gang and seeing the old man gets his! She does remind me of a concept art that the creator of Naruto used for Sarurka before he changed it around. Actually, I love it and it does seem to evoke what I would expect of Kiara, both in young and old. I know I hate to be so pesky, but could you draw up their mentor? His name is Damian Hataki. He is in his early 30s and has some variation of the Lion's Eye implated in his left eye. Because of that, he is known as the 'Copycat Tamer' based on his ability to copy any Aura moves while using his own moves. However, because he can't close that eye and so uses his headband to cover it up. Personality like wise, he is pretty chill about anything. But put him in combat, you're going to work pretty hard to take him down. Obviously, clothes should reflect that. As for color, mixture of grey and white based on his hair. I bet! Aw, I hope you aren't losing your memories like Sora in RE: Com..! D: Funny enough, that's where I am currently on my playthrough before KH3 comes out. Okay, good. I understand that and it was really just a suggestion. I can't stop staring at them! They're just so gorgeous to look at! ;D Ironically enough, I'm already making stories about them in my head that should really be on paper, I should think. Same as here. Though, I'm trying to complete all the KH games in time for KH3 and that is harder than I thought since the run I am on right now is Proud/Critical mode. :/ I'm thinking about lowering it down, but it would make it so dull.. Other than that, I'm looking at your work from time to time. I hope you got all of my info. Sometimes my VMs doesn't go through due to forums acting up from time to time. I can't wait to see more! He does remind me of Leon from FF/KH, which is not a bad thing and only makes it all the more impressive, really! I love the way you put some whisker mark by the eyes; it really makes him more fox-like, which is awesome. Well, you could throw on a cape similar to Naruto as Hokuge to replace the coattails if it bothers you; Otherwise, I can see the coattails as part of his Fox Mode. I'm sure you know where my mind is wandering. Other than that, he's wonderful and handsome.. XD Whoever future wife he will get is gonna have great kids, that's for sure! Plus all that Aura (alternative name for Charka) flowing around.. Talk about boundless energy going around! Yeah, some day we'll make it happen. Whoops! That is important. I thought I mentioned it when I wrote out what I'd like to see from your sketches. I'm sorry about that! Young Alex uses hand to hand combat and after certain events, training for three years going forward, she has come to using the sword. Still do despite losing her left arm! Um, Adult Mike is the seventh Hoguke, so it should be totally out there. Like Alex, his arm was gone but thanks to the previous Lady Hoguke, he was able to regain it but is bandaged from the elbow, his right arm is what I meant. His favorite color vary from time to time, but it is relatively dark/light orange. As for Kiara Uzmakine, there should be some sort of mark on her forehead like Tsunade. I can't remember what it was I wanted for her right now.. but yeah. Her color is pretty much maroon. Maybe after you get them done, you could do like a banner thing with them? Like signature/avatar sort of stuff like that? I think I saw something like that on your sites, maybe Kingdom Hearts..
Just keep on working and you'll reach your dream! T_T IT'S SO BEAUTIFUL!!! OMG, this is exactly what I envisioned her to be and with a little color work and adding her sword kinda similar to Adult Sasuke, she's absolutely gorgeous! Her favorite color is kinda the combo of pink and purple. I cannot wait for the others! Ooh! That's neat! I'm hope you start up your own anime show. I would watch it! I would like it either way. Cool! I'll scroll them all tonight. Honestly, drawing stuff is what I'd like to do if I had the talent for it. Turns out I'm a visual writer. You're welcome! So, beside your talent as a drawer, what else do you do? Okay! \*_*/ I'm excited to see it, haha. I'm trying to lower my expectations so I won't be upset about it. XD it's hard though. Do you have any places where I can kinda follow your works? I mean, beside your thread here. Then I better be on my best behavior! O_O xD I do love your drawings from what saw on your thread. It's amazing! With the exception of weddings or what have you, yeah. Also if you're up for it, you could make up drawings based on seasons. Just an suggestion. 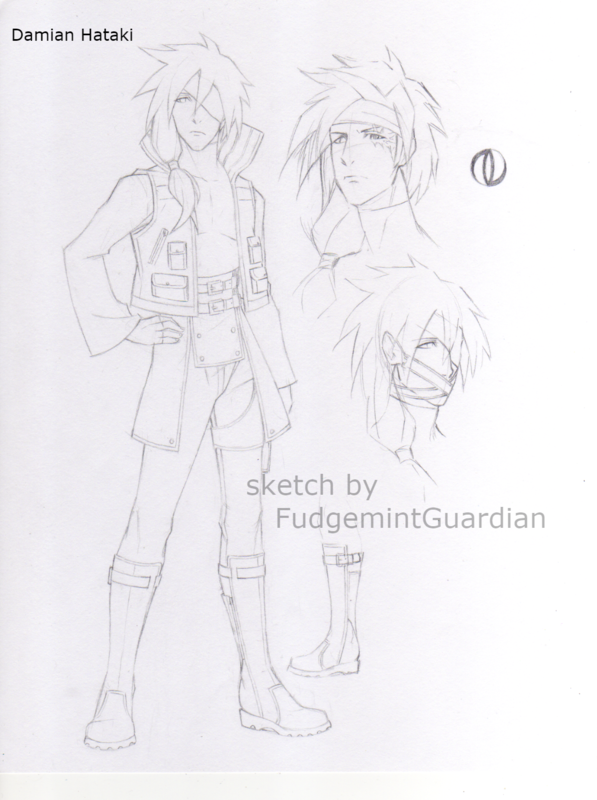 I almost forgot: since Alex is on an journey of her own, throw some hoodless cloak similar to adult Sasuke. It's okay; I should have realized it sooner and then all of this would have been avoided. Plus this is the first that anyone like you went all blunt on me, lol. Was not expecting that at all, that's for sure. I'd like that. Beside the descriptions I gave out, is there anything else that could help out? I'm not that person, honestly.. I figure they were busy with everything and even I forget about it until it came to me months later. Even DGH understands that it might not happen. I apologise to you and to them as well. Sincerely. I admit I was wrong and rude. I'm just not that person, I promise that. And I was excited that someone like you to draw them up for someone like me who just wanted to make a world come true based on my old role-play here on the forums. I am being honest on this. Again, I apologise.